I am currently in sunny Florida in a Barnes and Nobles, tapping out this blog on my much adored gold MacBook. I am so happy to be in the Sunshine state right now, especially since my beloved home state NY is still pretty cold. But I am not writing about palm trees and blue oceans today, I am actually writing about my time in snowy Utah! And in order to do so, I am reading my journal – I’ve flipped back to the January section for this year. The beauty of journaling, I can time travel to any part of my life and almost relive it – magic! Every year I write a long To Do list of the things I really want to accomplish or experience for the new year. For some reason, The Sundance Film Festival had been calling my name for the past few years. I don’t know why exactly, but maybe it has to do with one of my dreams being to place one (or more!) of my songs into a film. Or maybe it’s one of those things that pop into your head for some reason or another that you maybe shouldn’t ignore, especially if it’s pretty persistent. Sometimes these things may lead you to your hearts desire, or it could just be something you need to experience to get further towards it. Or maybe I don’t really know what I’m talking about but just wanted to go to Sundance, haha! 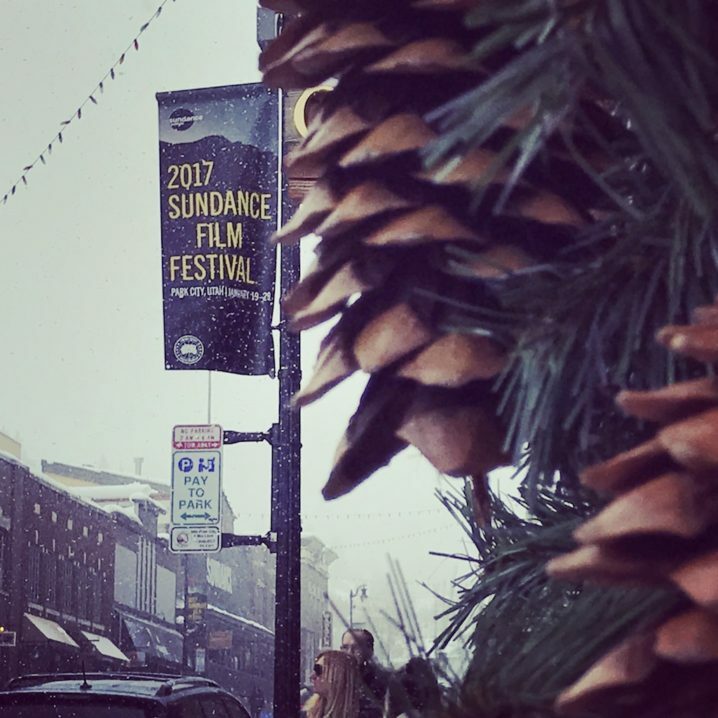 As I was writing my 2017 To Do list in late late 2016, I realized that I’d yet again failed to go to Sundance, and I yet again would be adding it to my list. So I decided to deal with it right then and there and went on the Sundance website. I realized that the reason I haven’t gone is probably because it falls in January annually, and by the time I’m usually done writing my annual lists it’s too late to plan any trip with such short notice! I knew that if I were going to go this year I’d have to act fast, even if it wouldn’t be the most practical way of planning a trip out – especially for something like Sundance which I later learned people plan a half a year in advance, to attend! But I think I may have had some help from the Angels! When I released my “Little Angel” lyric video, someone named Danny who I knew as a teen wrote me a message. He said that he could picture my songs in movies, and that he had volunteered at Sundance for several years. As I planned my trip, I remembered the message he had written me. So I reached out to him. It turned out that he hadn’t been planning to go, but he did happen to have a business trip scheduled in Utah during that time, so therefore he’d decided to attend. I was able to ask him many questions on how to navigate the complicated website and festival. But as I kept researching and trying to plan the trip, I realized more and more how difficult it would be to plan a good trip on such short notice, where I could make the most of the festival. I was tempted to trash the idea a few times, but each time I’d get a new message from Danny, encouraging me (and Joseph) to go. So when he helped us get a place to stay (hotels were now over $2000/night at this point for a standard Marriott room), I knew I was getting help and a gentle push to go! It turns out Danny was able to get a suite in a neighboring town to the fest, with and extra bedroom plus bathroom. And he kindly let us stay there with him for no charge. Thank you, Danny! It was a great experience to watch these beautiful films. They seemed to be created for the sake of art, and not for the sake of trying to be popular. I’ve always valued that sort of art. Or for the case of documentaries, to get an important message across. And those did deliver, filling the crowd with inspiration. 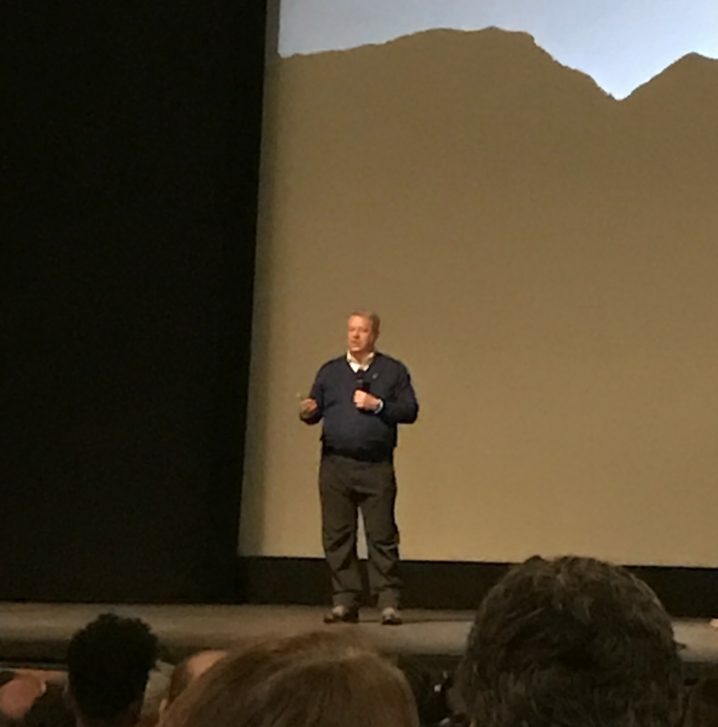 One particularly great moment was when we were watching Al Gore’s documentary on climate change, and he came out after the film was over! Everyone including myself was ecstatic he was there in person! There was also an artist named Nakhane Toure, who was beyond excellent, oh my goodness! He sang and played a whole set, and he also was the main character in a film called “The Wound”, which I didn’t get to see. He is one of those performers you watch and are entranced by, because you know they are doing exactly what they were put on this earth to do. He was definitely fulfilling his purpose up there, on the stage. Afterwards, Danny asked me how I’d liked the cafe and if the musicians were good. I said yes, they were excellent. He referred to when I used to be on stage all the time singing, because that’s the person he knew me as back then. We reminisced about those times. I told him about one time back then where I was about to get on stage, and I was freaking out from nerves. And he got a strange look on his face and looked at me and said, “Kiyomi, I’ve never seen you nervous”. So frankly and matter-of-fact. It took me aback. And it struck a huge chord in me. I’d forgotten how I used to be. I used to fearlessly get up on stage and sing in front of anyone, and any number of people. And Danny had known me at that point in my life. And I realized that that person is still inside of me. If I could do that back then, then I can probably do that now. 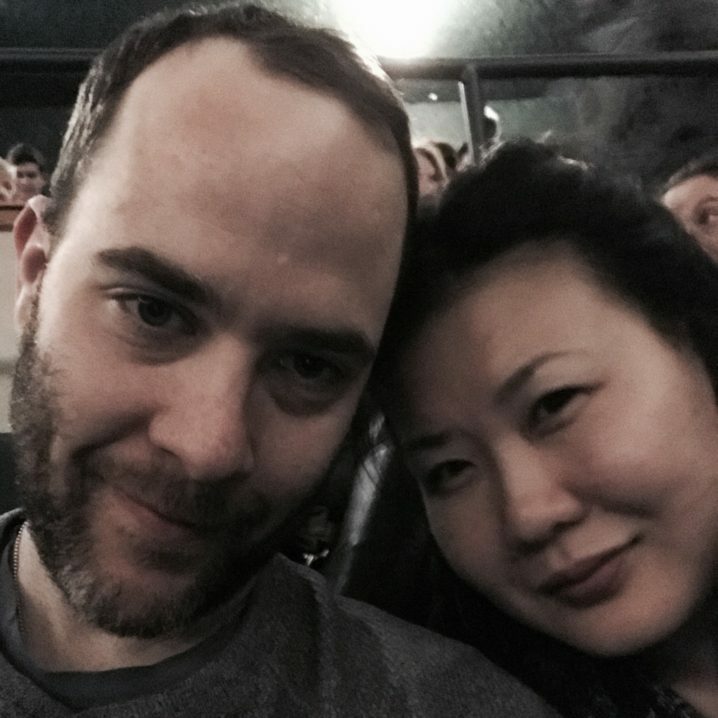 So all in all, Sundance was a great experience. It surely was not a relaxing time, but I was able to enjoy great art, be truly inspired, and go back to who I used to be, and learn that I am still Kiyomi, and I may still have that confident, fearless performer in me still. I mean, I have proof, don’t I? After all, Danny gave me that proof! And if there’s proof, then it’s real. And if it’s real in me, then I can bring it out again. I will bring it out again. And maybe I was so moved by Nakhane Toure because I knew he’s fulfilling his calling doing what he’s doing. Maybe I recognize that because that’s what I want to be doing. And maybe my calling may be different from what it was back when Danny knew me. Maybe I found myself at a film festival because I want my songs to be in a film now, though I still do love performing. But in the end it’s all about the music for me, and it always has been. So a big thank you to all who are trying to create out there, all who are trying to fulfill their purpose. All of your work is not unnoticed and is inspiring someone! And that’s what matters.